While you may have nothing but Barney’s windows, Rockefeller Center and the Rockettes on your mind when it comes to Manhattan in the winter, New York City is a great place to visit after the holidays. There are sales, sales, and more sales. Plus the wonderfully reduced prices of NYC Restaurant Week from January 24 to February 6, Broadway Week, and Off-Broadway Week. You can celebrate Chinese New Year on January 23, shop some more at the Winter Antiques Show from January 20-29, or go to the Boat Show at the beginning of the year. If you can’t leave the kids behind, don’t! From February 5-9, you’ll have the perfect opportunity to introduce them to a bit of NYC culture with a free ticket to a Broadway show on Kids’ Night Out. The so-called January-February Winter Blues season is a wonderful excuse to give yourself a mini-vacation. Come visit and see why everyone loves New York City, or check into a hotel and play tourist even if you already live here. And there’s a wonderful promotion to give you luxurious accommodations at a significantly reduced price. With the annual NYC & Company Signature Collection Third Night™ promotion, you’ll take Manhattan in style. 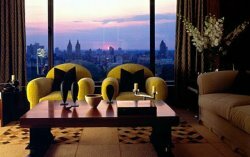 Twenty of the city’s most luxurious hotels welcome you with enticingly reduced prices and other goodies. 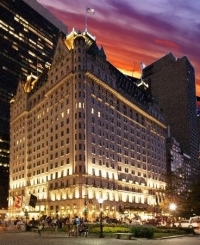 If you’ve ever dreamed of living like Eloise at The Plaza, sipping on a “Red Snapper” in its home at the King Cole Bar in The St. Regis, or staring out at the Manhattan skyline from atop the Peninsula Hotel or the Mandarin Oriental, this is the time. Pack two bags, one full and one empty for shopping, and be a tourist in the “city that never sleeps.” The promotion includes accommodations at 20 of the city’s most prestigious hotels for three nights (for the price of two) and a Key to Madison Avenue card which gives you exclusive access to special offers in boutiques, spas, restaurants, and galleries. The promotion is valid from January 2 – February 29 at these uptown and downtown Signature Collection hotels: The Carlyle, A Rosewood Hotel; The Chatwal New York; Hôtel Plaza Athénée New York; Jumeirah Essex House; Loews Regency Hotel; The London NYC; Mandarin Oriental, New York; The New York Palace; The Peninsula New York Hotel; The Pierre New York; The Plaza Hotel; The Ritz-Carlton New York, Battery Park; The Ritz-Carlton New York, Central Park; The Setai Fifth Avenue, A Cappella Managed Hotel; The Sherry-Netherland; The St. Regis New York; The Surrey; Trump International Hotel & Tower New York; Trump SoHo New York; and The Waldorf Towers. For more information, visit NYC & Company. This entry was posted on Friday, December 9th, 2011 at 3:23 pm	and is filed under Stuff to Do. You can follow any responses to this entry through the RSS 2.0 feed. You can leave a response, or trackback from your own site. on a daily basis. It will always be useful to read through articles from other authors and use a little something from their sites.